Stuff – When he wasn’t saving cricket tests for his country against England, Ish Sodhi won a lot of Twenty20 matches this past year. 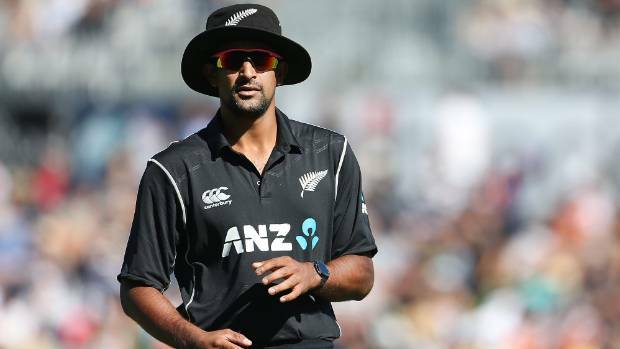 When he wasn’t saving cricket tests for his country against England, Ish Sodhi won a lot of Twenty20 matches this past year. He won the England title with Nottinghamshire (15 wickets, economy rate 9.85), the New Zealand title with the Knights (12 wickets, ER 6.77), and in January was ranked the world’s top T20 international bowler. READ MORE: * India thump England in T20 * Finch smashes T20 records * Cricket fans to hear it all * Local coaches in box seatNow, 25-year-old Sodhi is back in Nottingham where he capped his first season by winning the T20 Blast final, by 22 runs against Birmingham Bears, containing fellow Black Caps Jeetan Patel, Colin de Grandhomme and Grant Elliott. Sodhi’s 26 T20 internationals have snared him 36 wickets at an average of 19.33 and economy rate of 7.43, a matchwinner for New Zealand with his ability to take vital wickets with a lethal googly or a flighted one that turns and finds the edge. T20 star Rashid will be the headline act in England, after joining coach Jason Gillespie’s Sussex where Black Caps batsman Tom Bruce gets his first shot.